Despite Samsung being Apple's fiercest rival the two companies have enjoyed a lucrative partnership, with Samsung producing various components for Apple. Among these are the chips used by the iPhone – but it seems that when it comes to producing the A10 chip for the iPhone 7, Samsung might not be involved. That's according to an HSBC research note acquired by Apple Insider, which states that while Samsung made 60-70% of the chips for the iPhone 6S (leaving TSMC with the remainder), TSMC could be making all of the chips for the iPhone 7. While this is only a rumour at this stage it makes some sense for Apple to distance itself from Samsung. The two companies are, after all, rivals in many ways. Opting for TSMC also means Apple can use the company's integrated fan-out (InFO) packaging, which enables chips to be stacked on top of each other and mounted straight onto the circuit board, saving space and potentially allowing Apple to make its phones ever slimmer. If Apple does ditch Samsung we wouldn't feel too bad for the South Korean tech giant though. It's still the biggest smartphone manufacturer in the world. Plus, if Apple switches to OLED screens, as has been rumoured, Samsung could get masses of new business out of that. 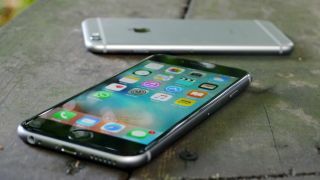 The iPhone 7 might be too slim for a headphone jack.